I’ve called Omaha home for the last five years now. That both feels like the blink of an eye and a lifetime. When I moved here, I was 22 years old. I had just graduated college and was married two weeks prior. The only time I had been to the Midwest before I moved here was when Josh’s job flew us out to scout out the area. I knew absolutely nothing about the area and had no idea what to expect. I just knew I was excited to start our life together and for our first big adventure. We found our apartment, bought a car, started our careers and began building a life. Five years later and Omaha truly feels like home. I love the Midwest. The people, the cost of living, and the quality of life truly can’t be beat. Omaha is a thriving city with so much talent and so many opportunities. I feel proud to call Omaha home and I love to support the stores and local businesses that make this community so great. If you’re looking to support more local business in 2019, look no further. 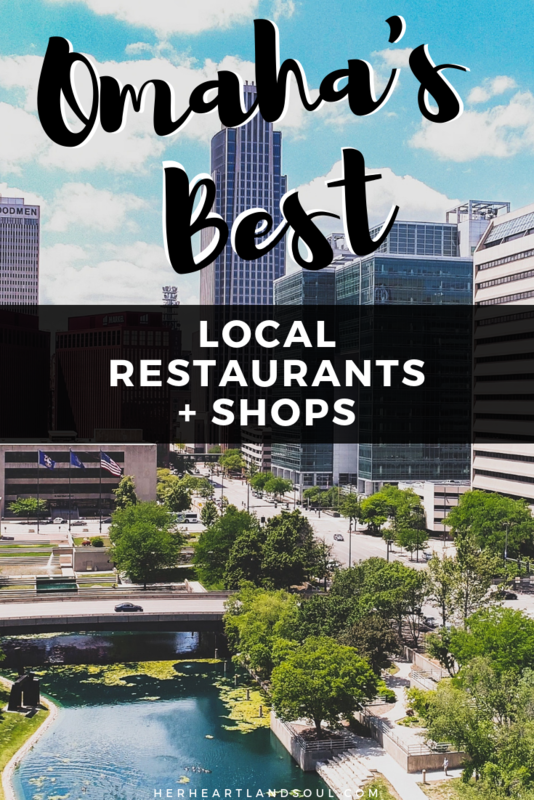 Here are my very favorite local Omaha shops and restaurants. 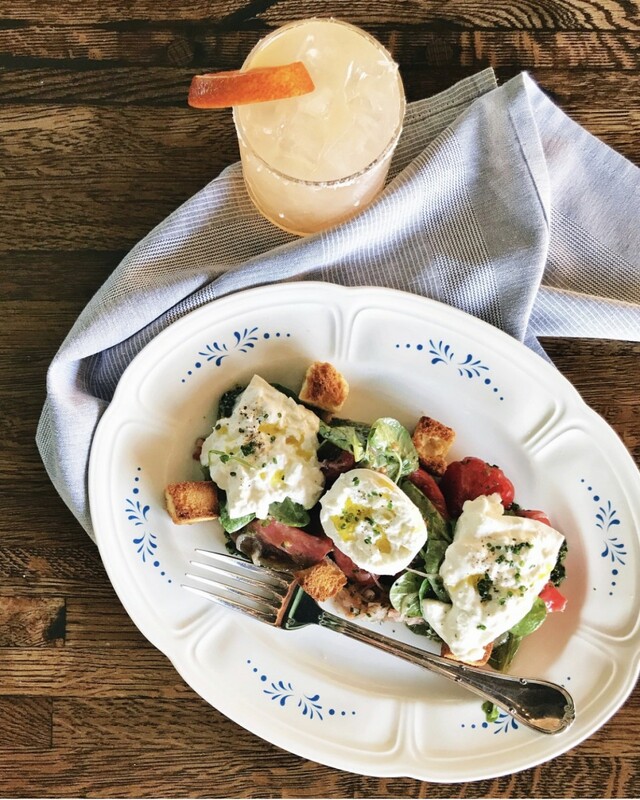 Omaha has such a good food scene. This list is not all-inclusive by any means, but here are some of my favorites! These stores are my go-to for locally made items to gift and display, as well as for unique fashion pieces to add to my closet. Some of the makers live slightly outside of Omaha, but they are too good to miss! Questions of the Day: Omaha friends: did I miss any of your favorite restaurants and shops? Non-Omaha friends: what are your favorite local shops and restaurants in your area? In collaboration with First National Bank of Omaha as a way to inspire a community of supporting local. All thoughts and opinions are, as always, my own. Oh wow! Omaha looks like a foodie’s and shopper’s paradise. I’m bookmarking this one. Thanks! My grandparents used to live in Omaha and whenever my brothers and I visited, they only took us to Godfather’s Pizza. Sounds like Grandpa was holding out! This is a wonderful list for those planning to visit Omaha. Hopefully I’ll get there someday. Nebraska looks like such a serene place to call home; I’ve never been, but would love to visit one day! Thanks for this! My girlfriends are planning a weekend trip to Omaha this Spring! (its kinda a half way point for us :)) Any recommendations on where to stay to be part of all the action? Do you have a post floating around about a girls weekend trip in Omaha? Thanks! You did an awesome job compiling this list of Omaha’s fab eateries and other places! Fantastic! It’s very informative and a great read for resource to visitors of the place. What a wonderful guide to Omaha shops! If I ever visit now I will have a great detailed guide on where to go! I love shopping local places. Thanks for the list and for sharing some interesting places to stop by. It takes time to get used to certain areas when you move to a new place. Glad Omaha has become home to you. It’s always nice to support locals. To be he honest, I have never been to Omaha and when I think about Omaha, foodie’s paradise does not come to mind. However, see your post with all of the delicious looking food and modern restaurants has changed my mind. I need to plan a visit soon! Thank you. What a fabulous list of places to visit while in Omaha! Will definitely refer to your post before I visit. I want to try Coneflower Creamery as I love ice cream and gelato. What a good listing! I hope to visit all of it in Omaha. I think you’d also like Whisk + Measure bakery, (not gonna lie, I love it so much I work there now.) Everything is made from scratch, is DELICIOUS, and we serve Reboot Roasting coffee! Definitely try Yoshitomo for sushi!! Myrtle and Cypress for coffee!! Well Grounded Coffee and Muglife Coffee are also great coffee shops in Omaha. 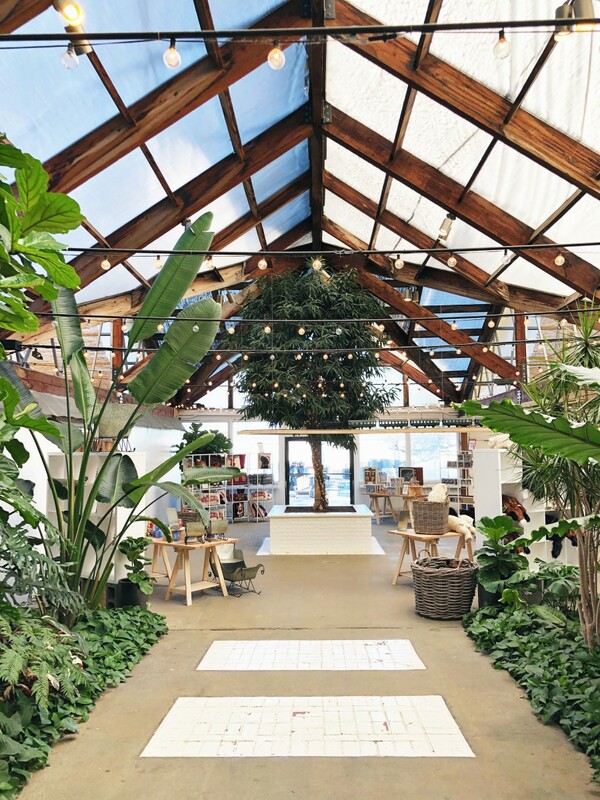 I do think SPRUCE is one amazing home goods/gifts store that could be added here! And as mentioned Yoshitomo is amazing sushi! Thanks for including us on your list! !